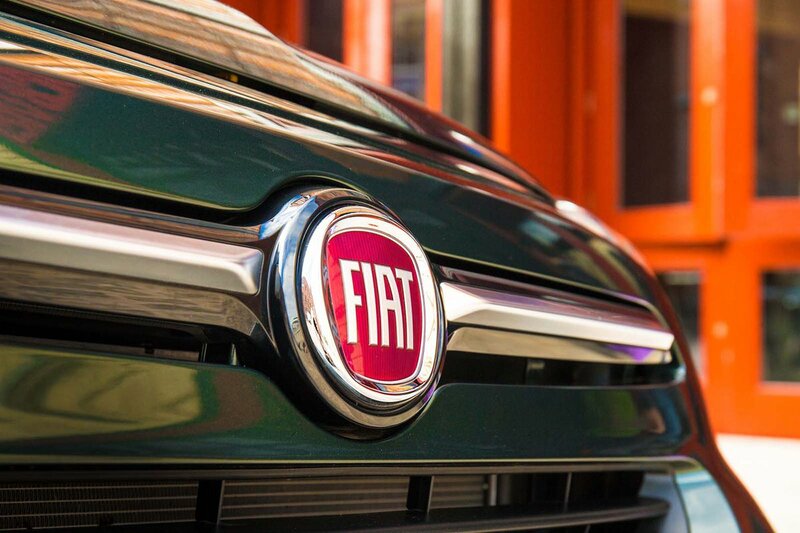 Fiat 500X Performance, Engine, Ride, Handling | What Car? 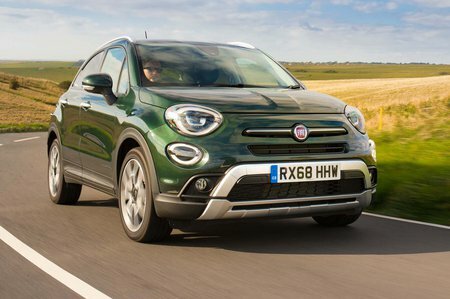 As we said in the introduction, the Fiat 500X doesn’t have the broad variety of engines offered by many of its rivals, such as the Audi Q2, but you still have options. The range kicks off with a 1.6-litre petrol that we're yet to try, but it's the slowest motor of the three. This is followed by a couple of smaller but more powerful turbocharged units, which we have sampled. The second-rung motor is a 1.0-litre three-cylinder unit that produces a respectable 118bhp – a little more than the equivalent Seat Arona. However, while it's slightly more muscular on paper than the Arona, you have to work it harder, using its six-speed manual gearbox, to gain speed in a hurry, and there’s some lag between you putting your foot down and it starting to pick up pace. Still, aside from these foibles, it’s perfectly up to the job. It’s certainly preferable to the top-spec 148bhp 1.3-litre petrol model. The engine itself isn’t the problem, proving noticeably stronger than the 1.0 once you’re up and running. Instead, the problem lies with its default automatic gearbox (there's no manual option); it’s just far too sluggish to kick down into the right gear. Ride comfort around town is pretty good, provided you stick with smaller wheels. It smooths over big bumps and stays fairly settled over patched-up surfaces. What’s less ideal is the high-speed ride, because the 500X becomes a bit fidgety and prone to lurching about over mid-corner bumps and undulations, swaying you around in the process. It could make anyone prone to travel sickness feel a bit dodgy. Bigger wheels can also make it more sensitive to poor town roads. Still, it’s generally a comfortable thing that suits laid-back driving. The softly sprung 500X suffers lots of body lean through corners, and while this isn't that noticeable in normal driving, if do a lot of A and B-road journeys at a reasonable pace, you will find the Seat Arona's better body control more engaging. There's decent grip from the 500X, though, but where it really makes you wish for a better sense of connection is through its steering; it's as dead in your hands as a 1980s arcade driving game, giving you little information to help you place the car exactly where you want it on the road. 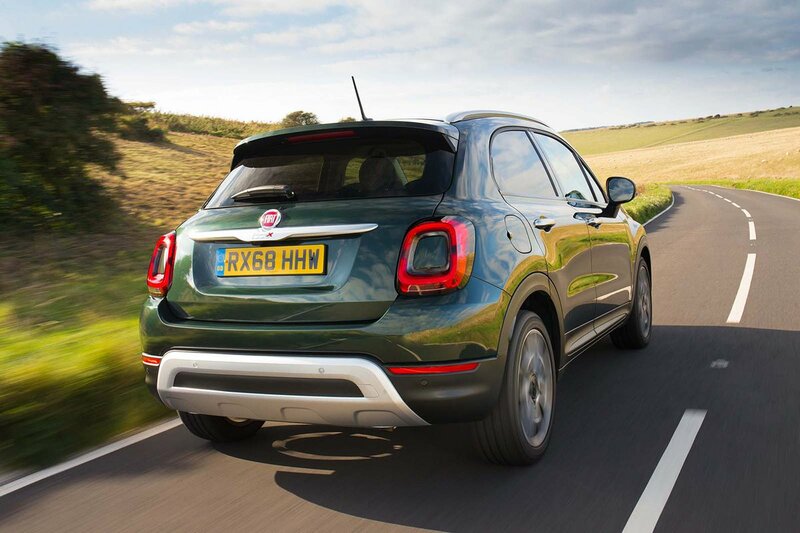 Still, being light, it’s ideal for tight parking manoeuvres, making the 500X a perfectly manageable town car. Fire up the 1.0-litre engine and you’ll almost certainly be impressed with how smooth it feels. Although you’re aware of its odd cylinder count from its thrummy soundtrack, vibrations are kept reasonably low and it has hushed cruising manners. The six-speed manual gearbox has a fairly long throw, but it’s precise and not at all unpleasant to use. The 1.3-litre engine is even better, with fewer vibrations coming through the controls and a smoother soundtrack. It’s the dim-witted automatic gearbox with which it's paired that’s the problem. You have to push the accelerator pedal down a long way before the gearbox will kick down for urgent acceleration, and even then it will make you wait, pausing between each downshift before the engine starts to pick up. This is not only frustrating in performance terms but also leads to a generally jerky experience for you and your bemused passengers. Whichever version you go for, wind noise is mostly well contained, but there's a fair amount of road roar on coarse surfaces and suspension noise over rough roads.